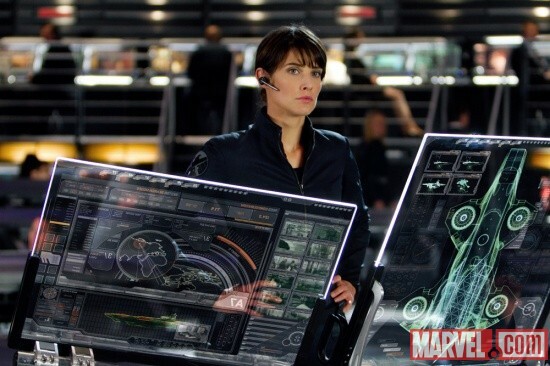 We got a sneaky glimpse at Ms Smulders as Maria Hill in the second trailer for The Avengers (bizarrely re-titled Avengers Assemble for the UK/Irish audience only). But now it’s time to see the 2nd in command up close in 2 new screenshots from the film. It’s really great to see what Colbie is bringing (face and pose-wise) to the role of Maria, one of the strongest female characters in comic books today. The images are only serving to fuel my absolute rabid need for the film to be released. But alas, we’ll have to wait until April 26th. But that is a whole week before the US May 4th release, which almost NEVER happens, especially with such a highly anticipated film.